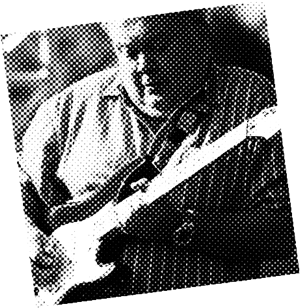 Alistair Coakley began his career as a professional musician in 1976. He was Lead Guitarist and Producer for the acclaimed band “Hotline”, which featured P.J. Powers on vocals. Hotline amassed album sales in excess of 500,000 units, and toured extensively in South Africa and abroad. After the dissolution of “Hotline”, Alistair joined well-known Afro-Rock band “Stimela”. He also toured Europe with them, and played to sell-out crowds at Le Zenith, in Paris. Alistair is a prolific session musician, and has appeared on albums with well-known artists such as Johnny Clegg (including a European tour with him in 2010), Mango Groove, Lucky Dube, TKZ, and numerous other artists. Alistair wrote the brass arrangements for stellar blues guitarist, Dan Patlansky, and played guitar and mandolin on Dan’s acclaimed ‘Real Blues” album. He is an accomplished guitarist in his own right and is well-respected for his mastery of the electric guitar. In the past he has been the official clinician for Fender Music Instruments South Africa. His expressive, thoughtful style of blues, rock and other genres is a crowd-pleaser. He has been a guest performer at the Durban International Blues Festival for the last 3 years. He has appeared on S.A Idols as a guitarist, and holds the guitar chair in the “Strictly Come Dancing” (South Africa) band. Alistair formed Hitman Music Productions in the early ’90s and is based in Johannesburg, South Africa. He is the proud father of three sons and a daughter, and a doting grandfather to five grandchildren.